When in late April Bernie Sanders, the independent senator from Vermont a democratic socialist but not a Democrat, announced that he would run for president in the Democratic Party primary no one could imagine the wide social support that he would win during his electoral campaign. If Bernie Sanders wins the Democrats’ nod, it will be the most unexpected result of the modern nomination era. Since white conservatism is much closer to the tonality of the current American political affairs than to any version of democratic socialism, even a Trump nomination would rank as less surprising. 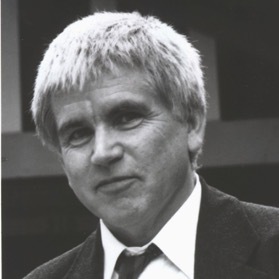 The studies of Mike Davis, an American Marxist writer, political activist, urban theorist, and historian, have explored, among other topics, the American politics of the last century with an emphasis on the formation (or better the deformation) of the American working class. In this interview, Maria Christina Vogkli, an LSE Sociology Alumni, and George Souvlis, a PhD Candidate in History at the European University Institute in Florence and a freelance writer of various progressive blogs and magazines (Jacobin, ROAR, Enthemata Avgis), discuss with Mike Davis, who shares his views on the formation of his political identity, the politics of the American “extreme centre” and the potentials and limitations of the Bernie Sanders Candidacy. 1) Could you please tell us a bit about your family background? My family background is distinctive only in being impossibly average. My dad came from a rural Protestant background in Ohio and was a fervent New Deal Democrat. My mom was an urban Irish Catholic and a registered Republican, but twice voted for the Socialist candidate Norman Thomas. She equally adored President Eisenhower and Liberace. Both were high-school graduates. Apart from the Vulgate Bible we had no books in our home, but my father was an avid newspaper reader (sports and politics) and my mom devoured the Reader’s Digest cover to cover. My dad worked in the wholesale meat industry in a strangely hybrid white collar/blue collar job. His workday was equally divided between sales calls, fabrication of orders, and delivering meat. Our family income, home mortgage, car value, hours spent watching TV, and so on were always the national median during the 1950s. (I’ve researched this). I grew up in a 1947 tract home on the exact border between the last subdivision and the remaining orange and avocado orchards of east San Diego County. 2) How do you think that your family background influenced your later political formation? I’m currently writing a book about the 1960s with a particular emphasis on activists from ‘ordinary’ backgrounds like my own without heroic family histories on the Left. But, as I’ve discovered, there were almost always predispositions to dissent in our genealogies, sometimes very subtle. In my case there were three: my dad’s intense dedication to the Meat Cutter’s Union (he was a founding member of his local); having Black and Asian cousins by marriage; and the shanty Irish class consciousness of my nominally Republican mother (she despised the Kennedys as ‘lace-curtain, castle Catholics’). The source of my father and uncle’s exceptional anti-racism was long a mystery to me until in the 1970s I revisited the family hearth in Ohio: the tiny hamlet of Venedocia (now pop. 140), founded by my father’s ancestors in the 1840s, where Welsh was the primary language until the early twentieth century. The penny dropped when I spent an afternoon in the little cemetery looking at the headstones of the Union dead – Jones, Davis, Evans, Howell and so on. These Welsh forebearers, amongst the first settlers of Ohio’s Black Swamp, were fierce abolitionists. This DNA, as it were, was activated when I was sixteen in 1962 – alcoholic, delinquent and suicidal – and my cousin, then married to a man who would be one of the founders of Black Studies in San Diego, invited me to a protest organized by the San Diego chapter of the Congress of Racial Equality (CORE). This was my burning bush moment and – forgive the melodrama – gave my life its direction. Like so many others caught up in the courage and beauty of the civil rights campaign, I lived the Movement, stage by stage, from CORE, to SDS (I was a full-timer for three years), to the Marxist Left (the heretical, pro-Dubcek Southern California district of the Communist Party in my case). If my mind has an eccentric and unorthodox bent and my temperament inclines toward Celtic melancholia, my core values and self-definition remain stalwartly, even soldierly socialist. 3) How would you describe the wider context of Southern California during this period? Like many of our neighbors, my parents were Depression refugees, hitchhiking to Southern California from Ohio in 1938. The dominant ‘ethnicity’ in our all-white town was Southwestern (Oklahoma and Texas) and the largest religious groups were the Southern Baptists followed by Pentacostals, Mormons and Methodists. Main Street roughly divided the town by wealth and popular culture. Our side was poorer and notoriously ‘redneck,’ with trailer parks, a famed country-western ballroom and a nearby rodeo. The other side – south of Main – was marginally more middle-class, Methodist and oriented to beach culture. We were inclined to label ourselves first as ‘Westerners’ and had an envious antipathy to surfers. Racism and rabid anti-communism were all pervasive but because of the large number of unionized aircraft and skilled construction workers who lived there, our area elected Democratic representatives. The John Birch Society was very active and paranoid, but in the last instance the Machinists (aerospace) Union was politically more influential. 4) An argument that you make in your study about the American working class is that the Democratic Party cannot be the political organization that will bring significant social transformation in favour of interests of the subaltern classes. Do you continue to believe it? Did Obama make a significant difference among the other leaders of the party or was he one of the same? The evil (I use this word precisely) of Clintonite neo-liberalism screams back at us from every Trump rally. Jessie Jackson’s exciting Rainbow Coalition campaigns in the 1980s proved that it was entirely possible to ally the rustbelt and the ghetto but his center-right opponents in the Democratic Party – Bill Clinton’s Democratic Leadership Council – blew up all the bridges of progressive economic unity between imperiled white manufacturing-sector workers and the working poor of the barrios and ghettoes. Consistently championing global free trade, information elites, and financialization over manufacturing, the Clinton and then Obama White Houses have presided over the death of the industries and industrial unions that were the backbone of New Deal Democracy. Under Obama, who has continued the teacher-bashing and government-job-slashing policies of Bush, public-sector unions now face a similar decimation. Perhaps most shocking has been the passivity of the Administration and the Democratic leadership in the face of Koch-financed offensive to destroy unions and slash public budgets in Wisconsin, Michigan and Ohio. Less dramatic perhaps, but no less consequential, has been the absence of any initiative to address catastrophic job loss and the disintegration of social fabric in the industrial and mining belts of the piedmont and mountain South, including the once impregnable Democratic stronghold of West Virginia. (If you will, this is the American East Germany). The conservative religious agenda has gained such electoral salience in these areas precisely because the Democrats offer no serious counterbalance in the form of economic policy. 5) How do you comment on the Trump Phenomenon? The Trump phenomenon considering what I said above should not have been such a surprise. For years, the ex-Nixonite demagogue Pat Buchanan has advocated a nativist economic nationalism with an America First foreign policy. A star-spangled Le Pen with a long pedigree. As a presidential candidate, Buchanan won some spectacular Republican primary victories but without the support of the mega-churches or the billionaires, faded quickly. Trump, with a vast personal fortune and a shrewd use of the outrageous to stay at the top of the news, is independent of the far right establishment and its ideological scriptures. His success partly answers the famous question of Tom Frank in his 2004 book ‘What’s the Matter with Kansas:’ why do white workers support conservative crusades whose economic policies are totally opposed to their own interests? The Trump campaign, with its demagogic emphasis on jobs, clearly shows that false consciousness has its limits and that downwardly mobile whites are no longer robotic followers of the Heritage Foundation or the Christian Right. If Trump, like the satanic George Wallace in 1968, mobilizes the dark side, he also exposes a degree of alienation amongst former ‘Reagan Democrats’ and their offspring that may well destroy the post-Reagan Republican Party brought to power by Newt Gingrich in 1994. 6) Do you see any potential in Bernie Sanders’ candidacy to make a difference? Sanders, or rather his base, are the more novel and unexpected phenomena. As someone who was skeptical about the Occupy Movement (too dominated by elite kids and pseudo-anarchism), I find the current generational revolt astonishing in its scale, passion, and inclusivity. Although the top 100 colleges supply much of the campaign’s full-time cadre, the soul of the Sanders movement is elsewhere: farm colleges, high schools, rappers, and the endlessly swelling ranks of the credentialed but marginally employed young. And the children of the new immigrants are increasingly visible in the campaign as it moves West and into the big cities. Although any personal comparison between Al Smith and Bernie Sanders would be absurd, 2016 increasingly evokes memories of the presidential election of 1928. Although the conservative Democrat Smith (the first Catholic to run for the White House) lost to Herbert Hoover, the election was the overture to the Roosevelt era, as the children of Ellis Island – urban Catholics and Jews – first marched to the polls in great numbers. Likewise, the Sanders campaign, even more than Obama’s miracle in 2008, is proof of a fundamental realignment being driven by a new electorate and future majority with a distinctive agenda. 7) Would you like to elaborate a bit more on what type of political “realignment” is currently taking place within the Democratic Party? ‘Realignment’ in modern American political theory is a controversial concept, less popular than it was in its interpretive heyday of the late 1960s and 1970s. Too many small earthquakes have been wrongly construed as the ‘Big One.’ Yet I can’t think of a better term to describe what is currently happening within the Democratic Party. Unlike the Republicans, who are genuinely imploding and ‘dealigning,’ that is to say, going berserk, the Democrats are in the throes of a generational transition which clearly points in a coherent, more leftward direction. A hyperbolic claim? Not according to the polling data where Sanders’ support amongst voters under thirty is unprecedented (as is Clinton’s deficit in the same demographic). Even more so is the vogue for ‘socialism’ amongst Millennials. National polls since 2011 have consistently shown a plurality of under-30s choosing ‘socialism’ over ‘capitalism – an astonishing sea-change in opinion, even if the categories are poorly defined. Sanders may be mocked for supposedly wanting to turn the US into Denmark, but the real reference point of his campaign, as he has consistently emphasized, is FDR’s proposal for an Economic and Social Bill of Rights, the platform of his 1944 campaign and the highpoint of modern liberalism. In our post-liberal political system, however, rights to health-care and free college education are arguably now ‘socialist’ demands (or ‘transitional demands,’ in Trotsky’s sense). 8) What main limitations do you see in Sanders’ campaign? The Sanders’ campaign, of course, is easily disparaged as one-dimensional: his foreign policy positions, for example, are disappointingly unclear and in many respects little different from Clinton’s. His specific economic reforms are also less radical than they seem. Breaking up the Big Banks, for example, is the Progressivism of La Follette and George Norris (great 1930s liberal Republicans) redux; socialists would propose instead to nationalize them as public utilities. He would tax the superwealthy at the same levels as LBJ but less than Eisenhower. Moreover, he has carefully sidestepped traditional left demands for reductions in military spending and abolition of the surveillance state. And his employment strategy (the right to a decent job was the cornerstone of FDR’s program) is timid and unoriginal: all recent Democrats have routinely and without conviction advocated job creation through infrastructure investment. Hardly a remedy for permanent stagflation. Despite this, Sanders provides the partial template – even if cobbled together from New Deal era policies – for a politics that corresponds both to the equal-opportunity values and survival-economic needs of the new majority. The missing link, apart from a genuinely progressive foreign policy critique, is obviously his reluctance to acknowledge the structural persistence of racism beyond the catastrophe of mass incarceration. The resegregation of public education and the fiscal destruction of non-white majority cities are two giant issues crying out to be addressed. Young people trust Sanders to defend Dreamers and their parents, but it is unlikely that his campaign will produce a policy even remotely as radical as Pope Frances’s insistence on the priority of human rights over national sovereignty. But no matter, old granite face has accomplished far more than anyone would have conceived possible and its up to the movement, embryonic in the campaign, to take up the long game of coordinating labor organizing, rights campaigns and electoral insurgency. 9) Once the socialist cultural critic Raymond Williams said that, “To be truly radical is to make hope possible, rather than despair convincing”. Where do you stand on this? ‘Hope’ is not a scientific category. Nor is it a necessary obligation in polemical writing. On the other hand, intellectual honesty is and I try to call it as I see it, however wrongheaded my ideas and analyses may be. I manifestly do believe that we have arrived at a ‘final conflict’ that will decide the survival of a large part of poor humanity over the next half century. Against this future we must fight like the Red Army in the rubble of Stalingrad. Fight with hope, fight without hope, but fight absolutely.